Day 9 of my trip, and I'm still in Colorado, but on the other side of the Rocky Mountains. 7:00AM - we've loaded and fueled 46493 and were ready for takeoff. I'd planned three different routes from Mack Mesa (10CO) to Longmont (KLMO), depending on what the weather would turn out to be. When I got up this morning, it was overcast in Fruita, but pretty much everywhere was reporting the cloud bases to be at least 14,000 feet above sea level, which meant that we could go over most of the mountains and make it through Rollins Pass at 12,078 feet. So, that was our route when we took off. 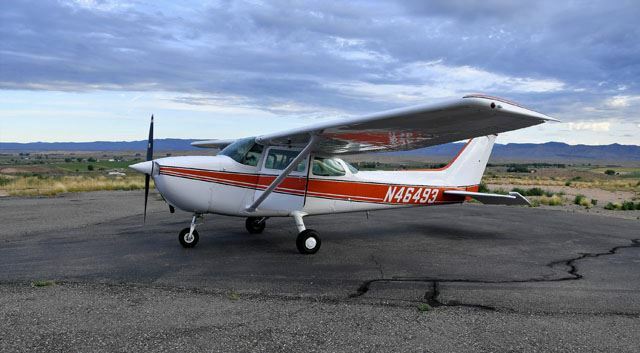 With its new exhaust the Cessna was noticeably quieter than it had been, and I think the electronic ignition helped the climb from Mack's 4,750 feet to our cruising altitude of 13,500. Here, we're leaving 7,500 and still climbing at 500fpm on our way to 13,000-plus. All went well until we were about 15 miles from Rollins Pass, and it turned out that although we were still well below the clouds and over the pass, there was an area of rain around the pass which made it impossible to see the mountains. That made Rollins a Bad Idea, but it was clearer to the north, so we headed that way - at the worst, we knew conditions on the Wyoming border were good, and we could get through that pass at 10,000 feet or less. As it turned out, once we got into the southern end of the wide valley which led to the northerly pass, we'd passed the rain and we could see over the Milner Pass to the east. We flew through Milner Pass at 13,800 feet (a record for me). As we approached Milner Pass we could see the land beyond it - a good rule of thumb is that if you can see lower terrain through a pass, you're above the pass and can safely fly through it. 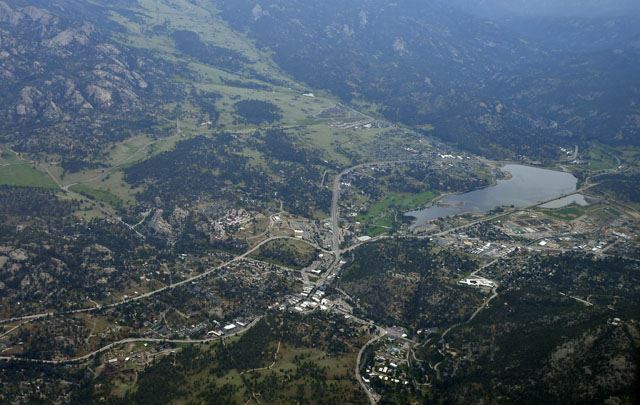 Very quickly we were through the passes and descending over Estes Park, where I'll be spending the next few days. 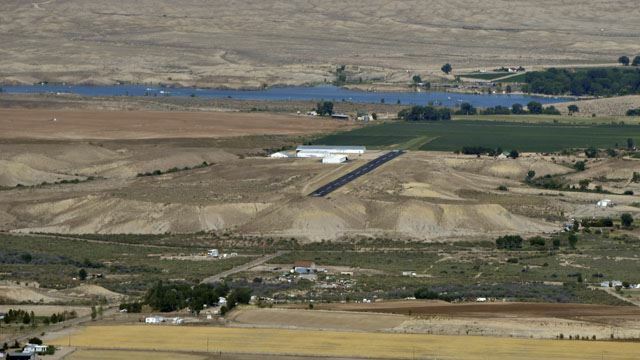 Within fifteen minutes after that we were descending into Longmont Airport (KLMO). I don't think I've ever been at a pilot controlled (a/k/a untowered) airport which was so busy. We entered a downwind after three other aircraft, with another three or four behind us in the pattern. We were on the ground by 9:30, picked up our rental car (an Audi SUV, if you can believe it) and set off for the family reunion. My route for the day - the straight lines from waypoint-to-waypoint is the planned route, the red line shows the GPS log for the actual flight. I'll be here until Wednesday, and then will be on my way back East. Day 8 of my trip, and I'm headed eastward. 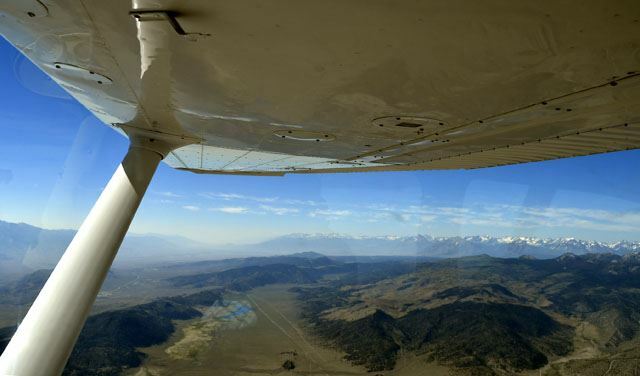 I took off from KCCR (Concord, California) before 8:00AM in order to cross the Sierra Nevada Mountains before the winds picked up. Concord is a sea level, but within 100 miles we had to be at 11,500 feet altitude to cross the Sierra Nevada mountains. It took a while, and I had to pause a few times to let the engine cool from the hard climb, but we made it in plenty of time to enter the mountain passes. The land is still rough and hilly on the eastern side of the Sierras, and I had a very nice tailwind at 11,500, so we stayed high above the lower hills. 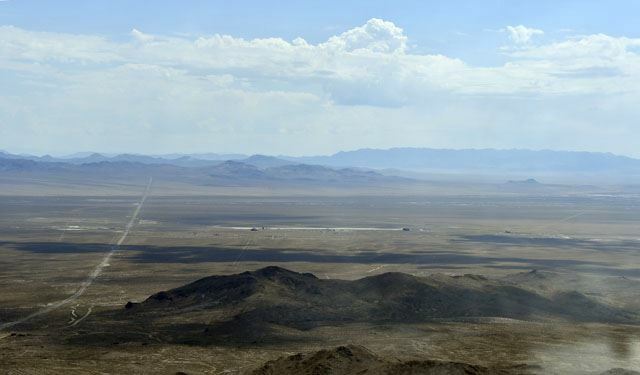 As we approached our fuel stop at Tonopah, Nevada, there was an incredibly bright glare to the north. 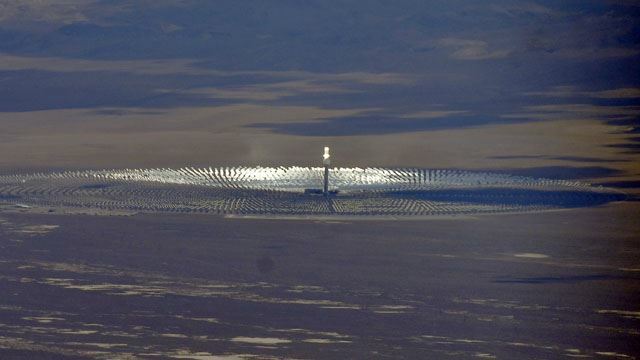 It's a solar plant, with hundreds of mirrors focusing the sun onto a central pillar. 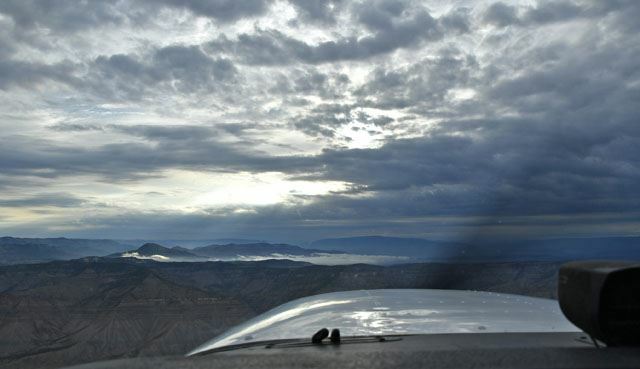 Just under three hours later, I landed at KTPH - Tonopah, Nevada - for fuel. The light area is KTPH - or, rather, the huge concrete ramp where World War Two heavy bombers once parked. Clouds started to build up while I was at Tonopah, and I was dodging rain showers for the next 250 miles or so. 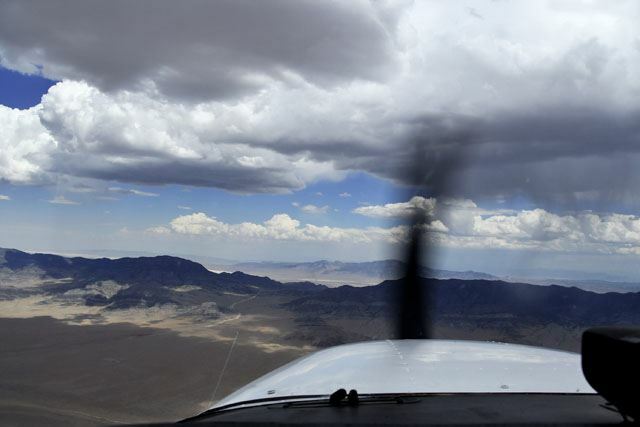 Typically for desert rains, the showers were widely scattered, if heavy, so I was able to see and fly around the worst of the rain, but the storms made the last four hours of flying into a roller-coaster ride of updrafts and downdrafts. 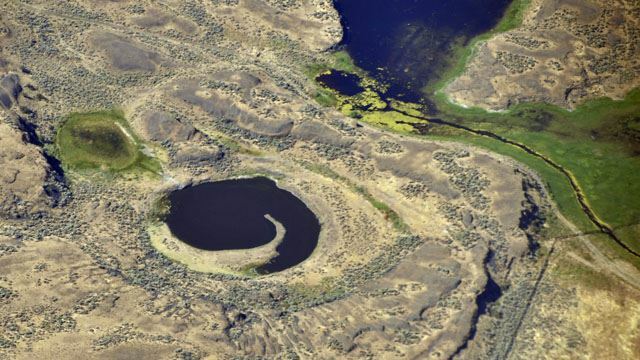 Once we reached eastern Utah, the skies cleared and the land became eroded desert. 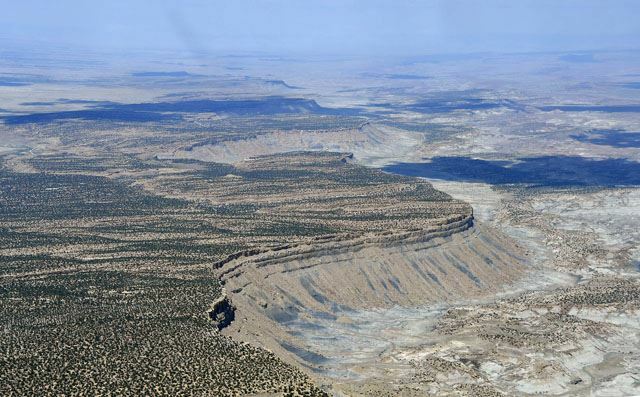 This area is just north of Canyonlands National Park, and the canyons are very much the same as in the park. 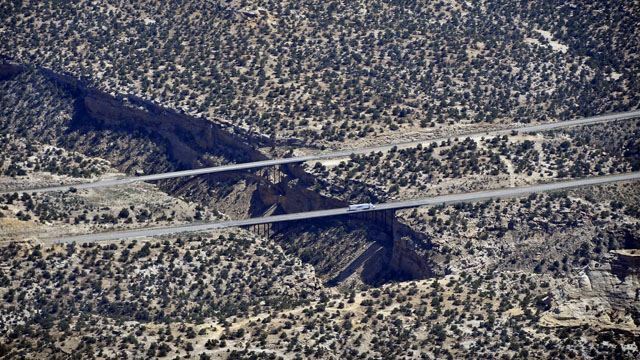 Further east, you start to see green patches where the Colorado River irrigates the land - Fruita, Colorado, straight ahead! I gave Jerry a call on my ham radio when I was twenty eight miles out from Mack Mesa, and he was already at the airport waiting. Seven hours of flying, and we've reached our destination! Final approach to runway 7, 10CO (Mack Mesa). 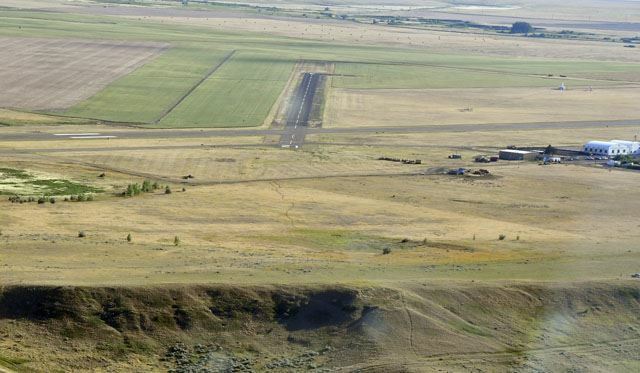 The runway starts at the top of a steep cliff, which makes the approach interesting - don't land short, whatever you do. 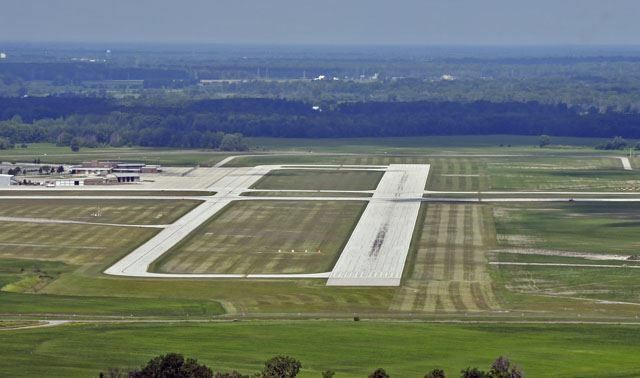 Of course, taking off on Runway 25, as soon as you reach the departure end of the runway you're 500 feet up. 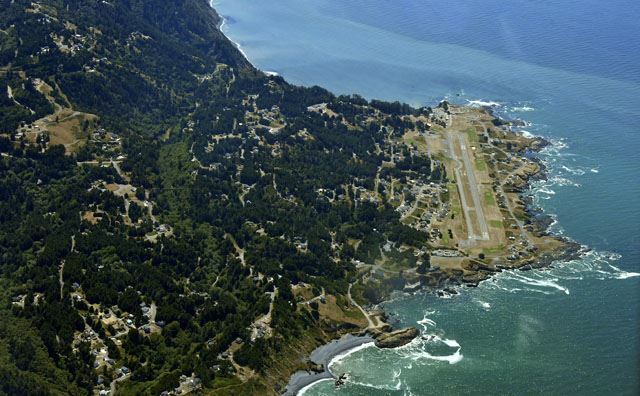 Today's flight followed the Pacific Coast from KONP Newport, Oregon, down to KCCR Concord, California. Day 7 of my trip started out grey and dreary, with low clouds in Newport, OR. While the skies were clear in inland Oregon, there was no way to get over the Coastal Range to where the weather was better. By 9:30 the ceilings were up to 3,400 feet at Newport, and over 1,500 feet all the way down the Oregon coast, so I set out. I stayed under the clouds and just off shore for about 45 minutes. As I flew further south, the ceiling dropped a bit and it started to drizzle. Then there was a break which let me get on top of the cloud layer at 5,500 feet. I followed the (unseen) coast until, finally, the clouds broke at the California Coastal Range. The weather was clear all the rest of the way. 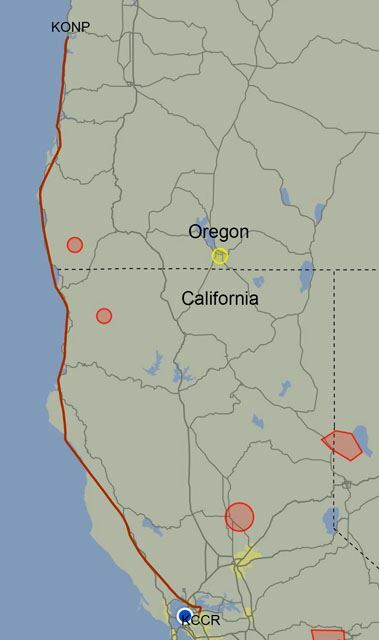 I crossed the Coastal Range at 0Q5 - Shelter Cove, California - and turned eastward. 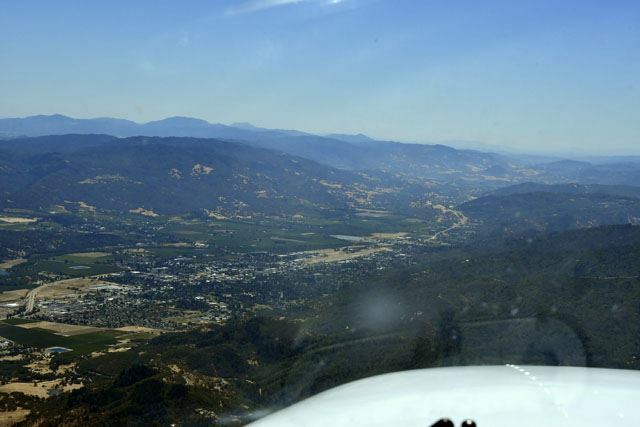 A few miles further down coast, I angled inland toward Ukiah, then down the valley. 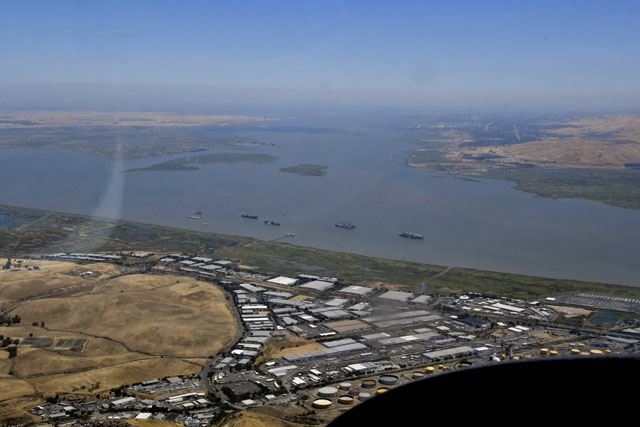 Eventually, my destination of KCCR - Concord, California - came into sight across Suisun Bay, a tidal estuary which is connected to San Francisco Bay. 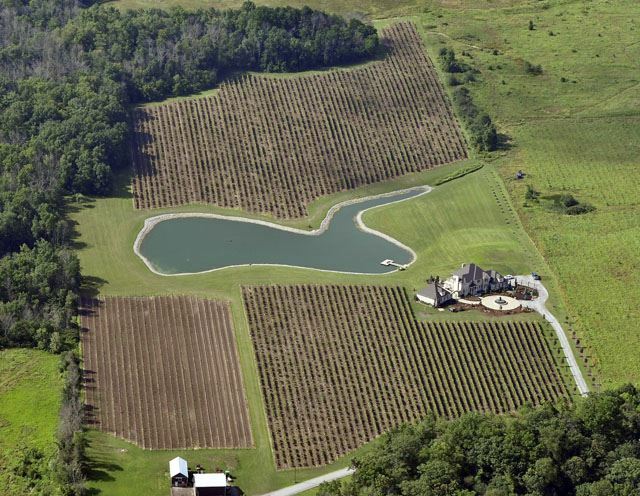 KCCR is just visible at the upper right-hand corner of the picture. Concord is a very busy airport. 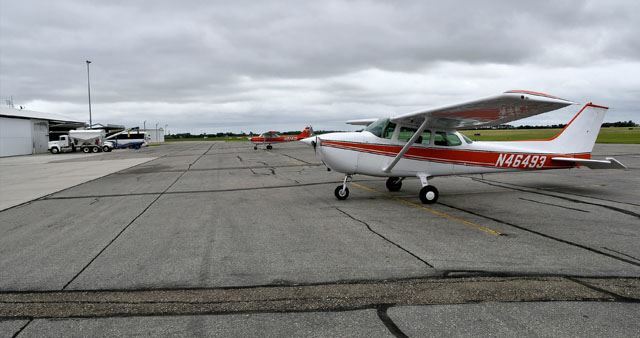 They had trainers doing touch-and-go's on the parallel 19 Right and 19 Left, and as I crossed the bay I was told to report a five-mile final for 19R. 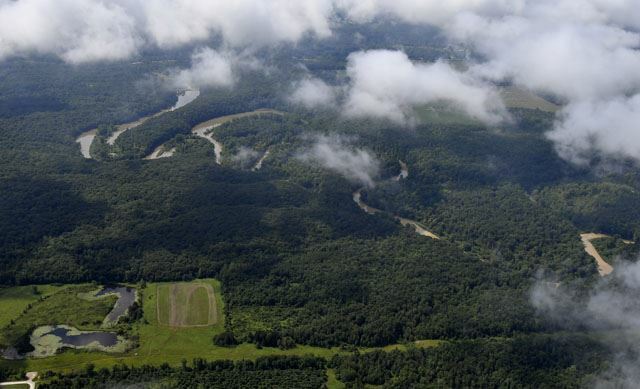 The frequency was so busy that my first few calls got stepped on, but at three miles out I got a word in edgewise and was cleared to land, number three. 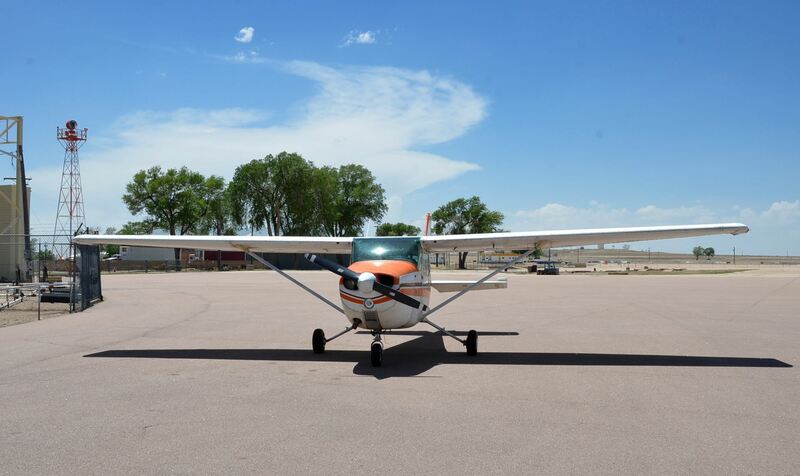 A short taxi afterward, 493 was tied down on the ramp at Sterling, one of the three FBOs at KCCR. 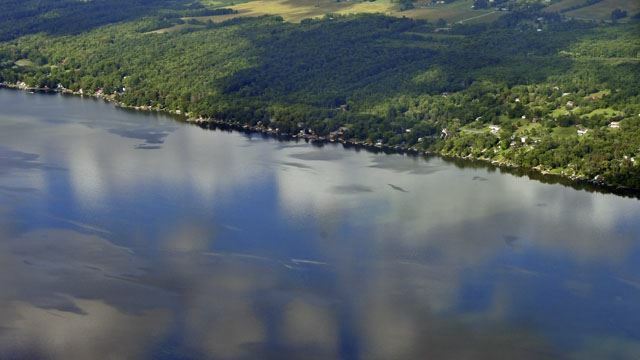 I'll be here for a couple of days with cousins, and then I'll be off again on Sunday morning to start the leg to Colorado. Today - Day 6 of my trip - was a perfect flying day, and it ended at the Pacific. 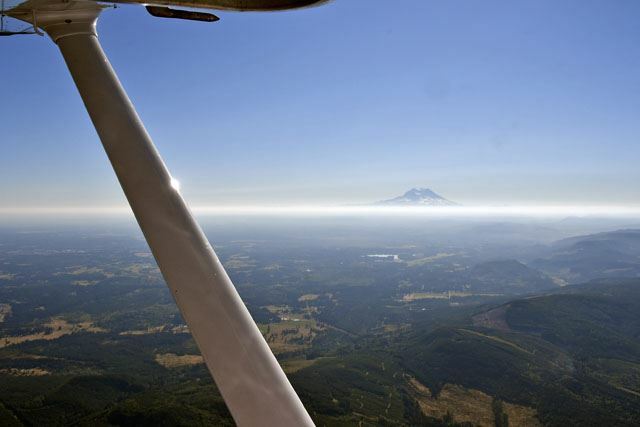 When I took off from Olympia, it was cool and clear, with a light haze layer I quickly climbed above. I could see a number of snow-covered volcanic peaks as I climbed. 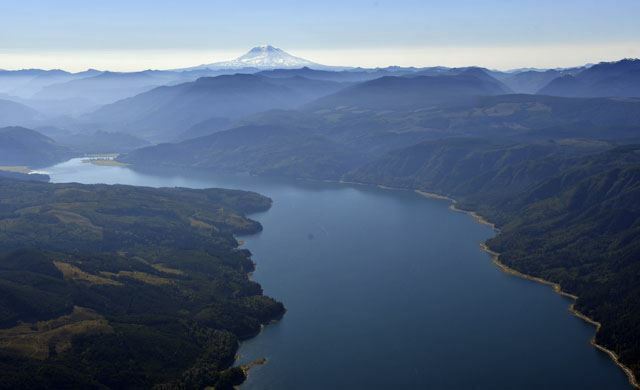 At the recommendation of a corporate jet pilot at Olympia, instead of heading straight to my destination, I aimed for Mount St. Helens. 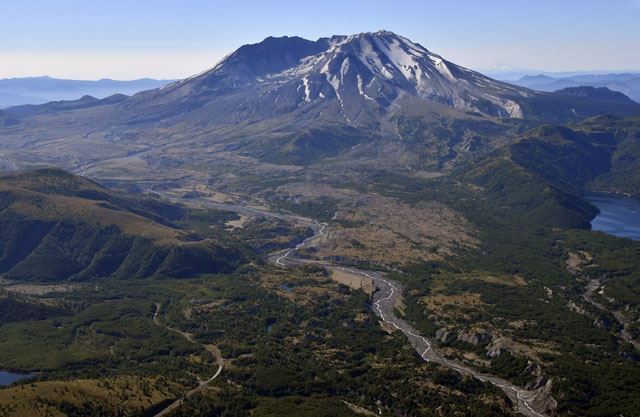 The diversion was well worth it, and the view was spectacular of the mountain with part of the crater wall missing - signs of the devastation from the 1980 eruption are still evident, nearly 40 years later. 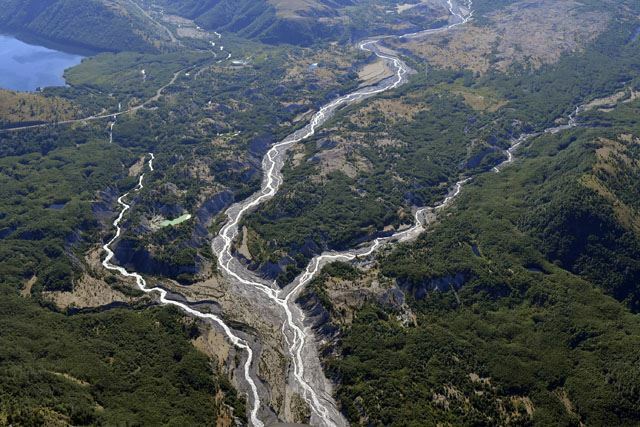 From the slopes of Mount St. Helens, I descended down over lower hills into the Salmon River valley. 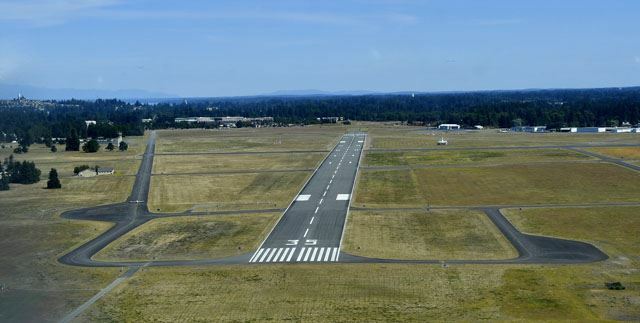 Forty-five minutes later, I landed at McMinnville, Oregon (KMMV). 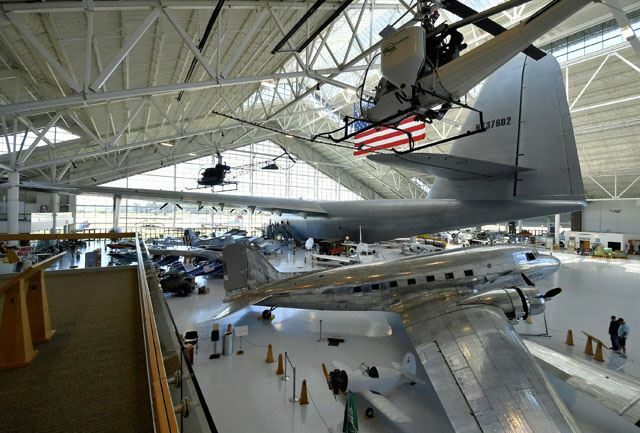 The Evergreen Air Museum, home of the Spruce Goose, is across the street from the airport, and they sent a van to pick me up. The museum is great, with dozens of aircraft under the wings of the huge flying boat - the collection is well worth a trip to see. 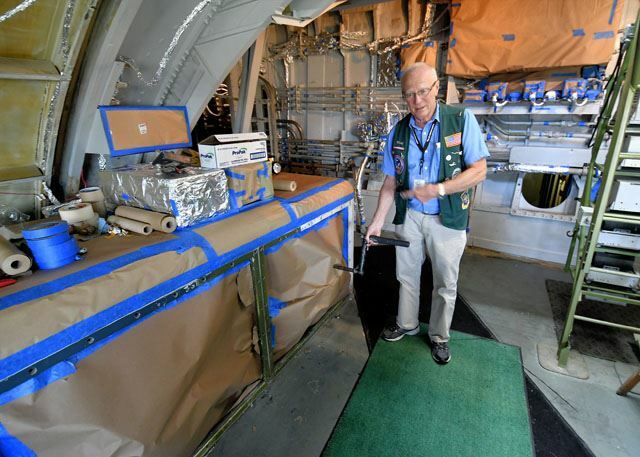 I didn't have time to tour the Space building with jets and spacecraft, but the older aircraft are more interesting to me, anyway. I did pay extra to get a chance to sit in the pilot's seat of the Goose - how could I pass that up? 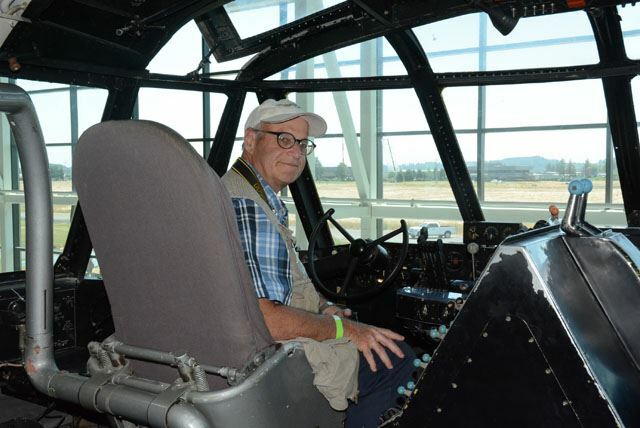 The tour guide took my picture - note the pipe behind the pilot's seat. Howard Hughes, a notorious germophobic, had a separate filtered air system installed to provide germ-free air to him at the pilot's position. This is the starting crank for the Spruce Goose. No, really - it is. The crank starts the Auxiliary Power Unit (APU), which in turn provides the power to start the eight 3,000 horsepower engines. 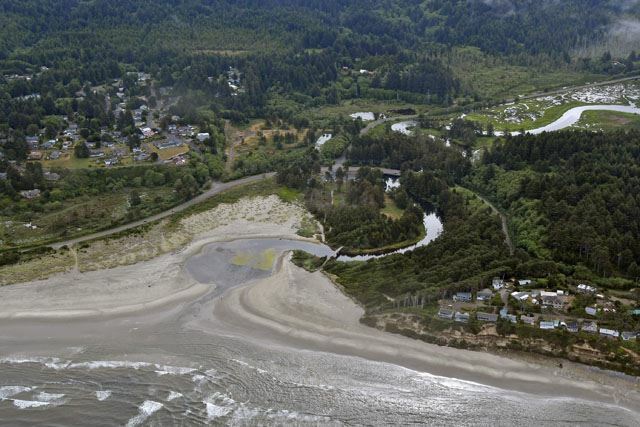 After that, I took off for the remaining 55 miles to Newport, Oregon (KONP). 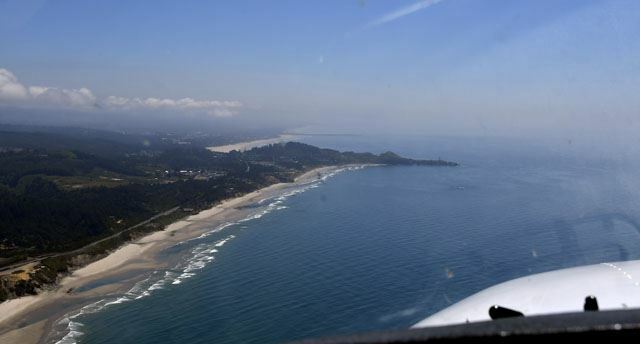 As I approached the low hills of the Coastal Range, the Pacific Ocean appeared - my flight to the Pacific had reached the Pacific. Those were the only clouds I saw all day - a single row about 1,200 above the beach. 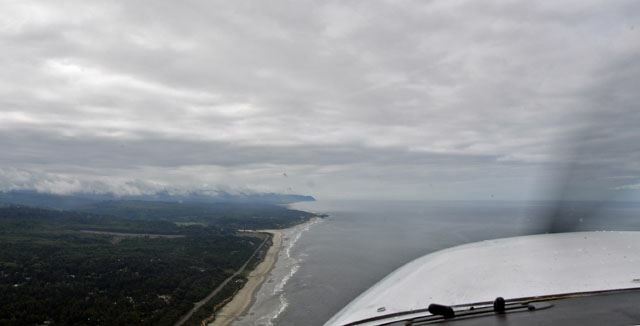 Once over the last of the hills, I turned southward and flew down the beach to enter a downwind for runway 34 at KONP, Newport Airport. Enterprise had a rental car waiting for me at the FBO, and after checking in at the motel on Agate Beach, I went down to the Bayfront for dinner. There was a beautiful sunset today over the beach in back of my motel - a perfect end to a great flying day. I'll be here in Newport all day tomorrow, and on Thursday morning I'll head south to Berkeley. Day five of my trip (OK, it's really day seven, but I'm only counting flying days...), and we're in Olympia, Washington. We were off the ground early on a cold (44 degrees) and clear mountain day. The airplane was happy to climb in the cool, dense air, and we were up at 8,500 feet in very little time. 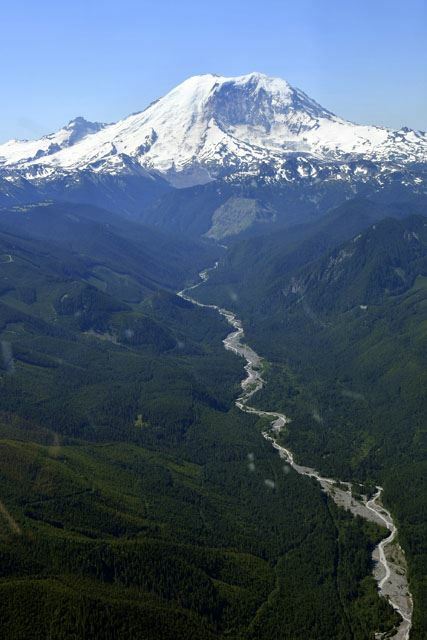 While KGPI is in a valley, it's surrounded by mountains which go up well over 6,000 feet, so climbing is essential. 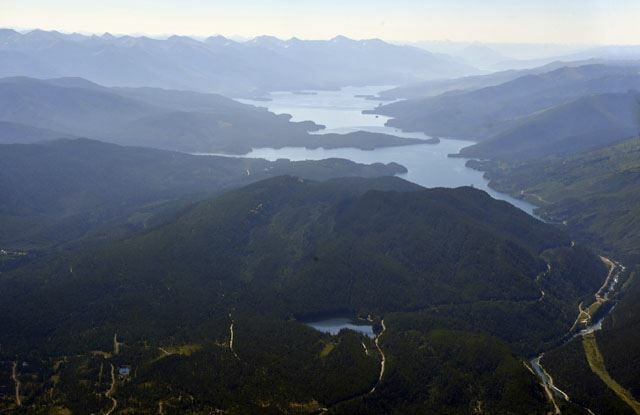 The first part was over the mountains of western Montana and eastern Idaho. 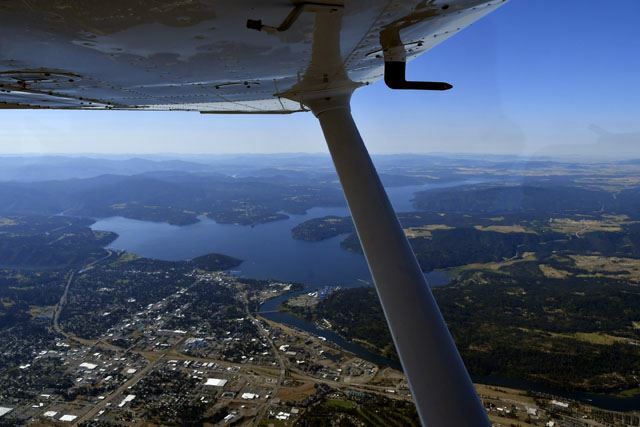 About two hours from Glacier, we passed Coeur d'Alene, Idaho, and Spokane, Washington, and we were back over flat and dry plains. The plains are table-top flat and dry. 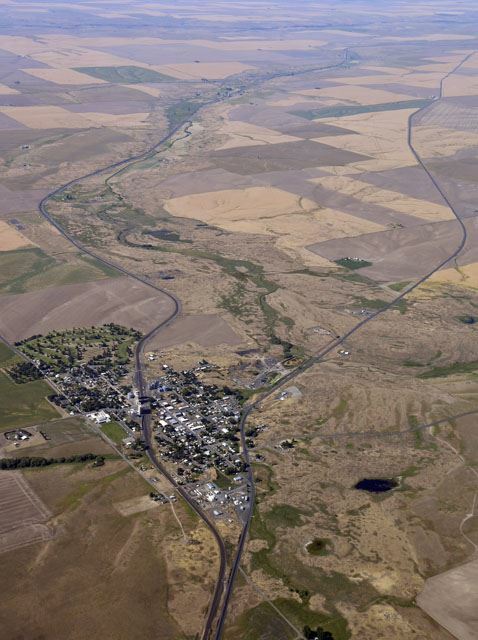 This is Harrington, Washington, where the railroad and highway split, only to rejoin some miles further on. 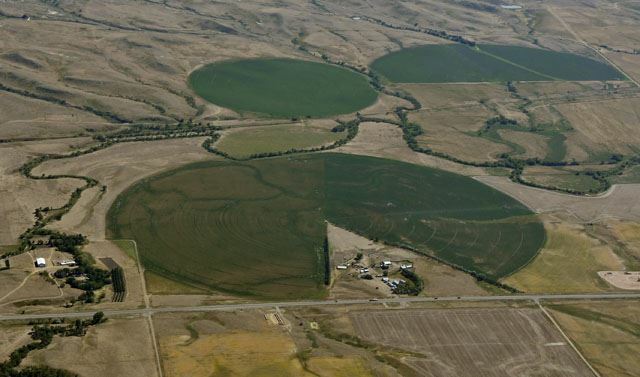 Circular irrigators are common in eastern Washington. This is a particularly interesting cluster, with some of the fields subdivided like a math teacher demonstrating pie charts. 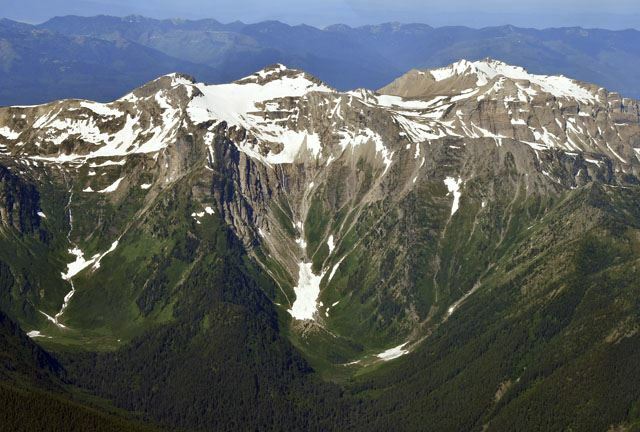 Before long the snow-covered cone of Mt. 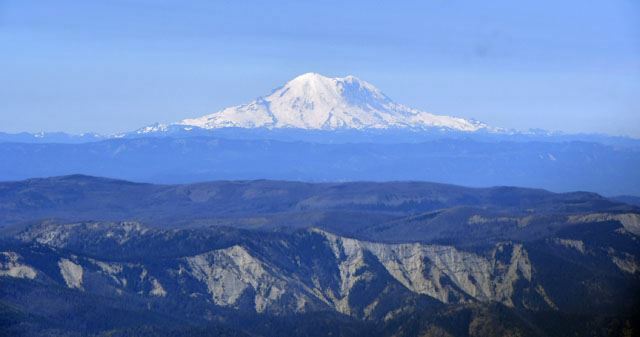 Ranier appeared on the horizon, and stayed there for more than an hour as we crossed the Cascades. Even at 8,500 feet, the mountains to the north of our course towered above us. 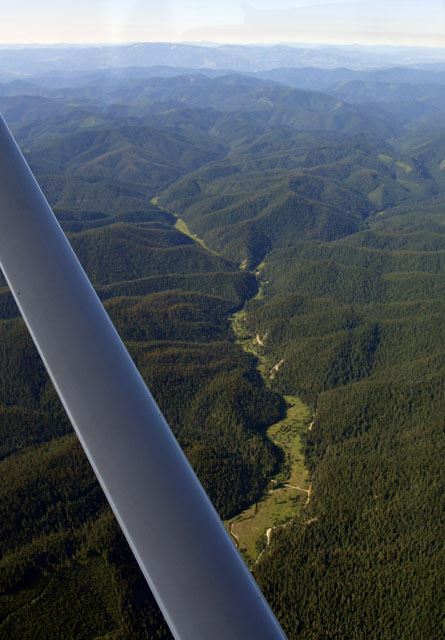 Finally, we flew close by the huge mountain, passing just north of the national park which encompasses it. 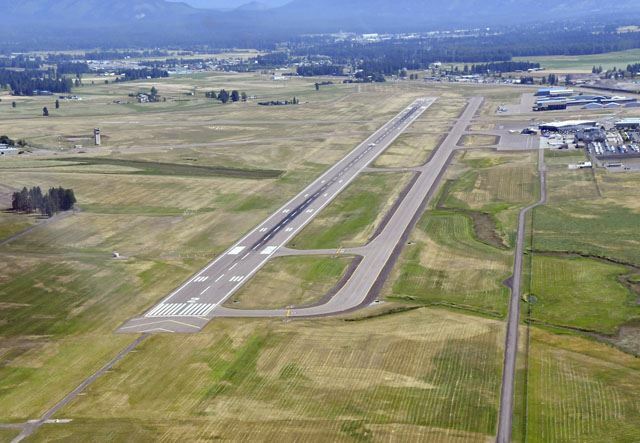 With a little rerouting to avoid Seattle's Class B, we descended to land at KOLM, Olympia Airport. We've spent the day in Olympia, touring the state capitol and walking along the waterfront. 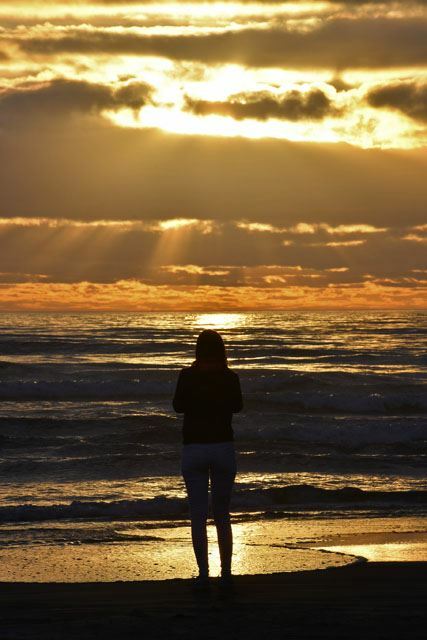 John will be leaving tomorrow morning to catch a flight back home, while I continue on to Newport, Oregon. 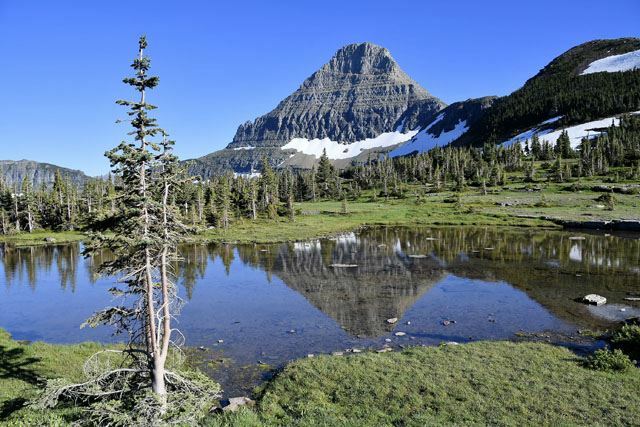 Day 4 was a short one - just 190 miles from KHVR - Havre, Montana - to KGPI - Glacier Park International. 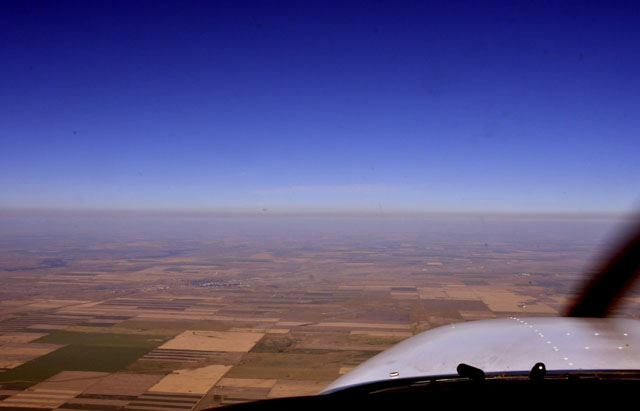 We left Havre around 8AM, and flew in clear blue skies all the way. 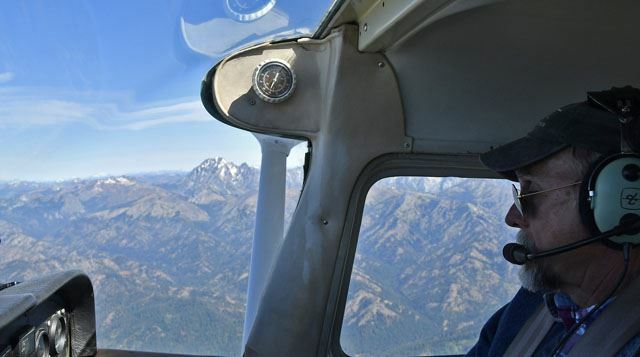 The flight was a bit slow - we had to climb to about 10,800 feet to clear the mountains in the pass from East Glacier Park to the airport, and at that altitude we had such a strong headwind that our ground speed was only 60-70 knots. After a couple of hours, the Rocky Mountains appeared in front of us. Our flight path was from Havre to East Glacier Park, the eastern gateway to the park. 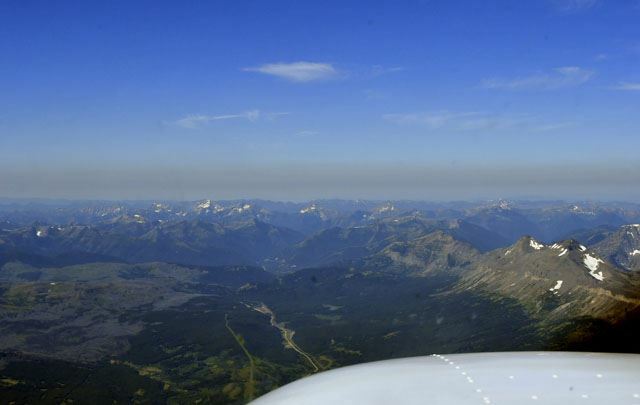 From there, we flew IFR - I Follow Roads -following Route 2 through Maria's Pass, the lowest pass in the Rockies. The road leads down a steep valley to West Glacier. Along the way are spectacular views of the mountains. 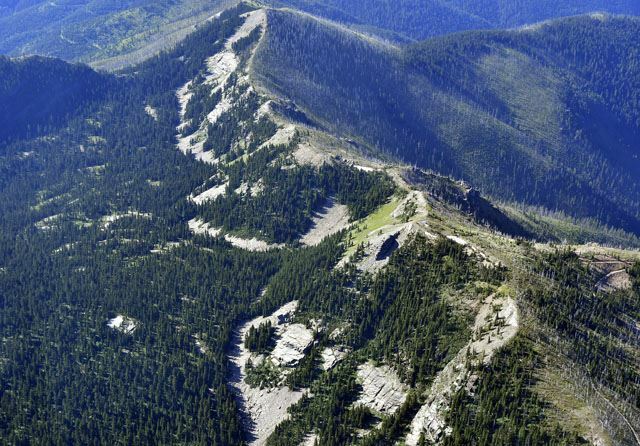 Past West Glacier, the valley opened up into the wide plain where Kalispell is located. 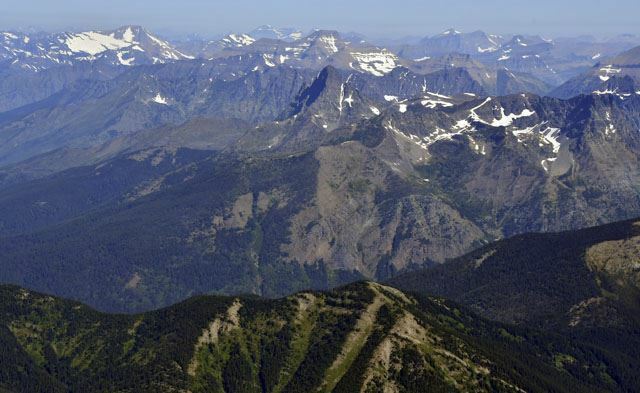 We contacted Glacier Park tower, and were cleared to land on Runway 2, after an Allegiant Airbus and a Beech twin. The FBO was very accommodating, and we said goodbye to N46493 for a few days. Once we'd parked the airplane and picked up our rental car, we headed into Glacier Park, and we've spent the last two full days there. Here are some of my pictures from the park. We rented a motorboat and spent an hour on MacDonald Lake. The Going to the Sun Road crosses the park from west to east. We drove halfway on Friday, before we checked into our motel, and covered the entire length on Saturday. From Logan Pass, halfway along the Going to the Sun Road, you can hike up a steep path to Hidden Lake - quite a slog, with much of the path still under snow, but well worth it when you get to the lake. 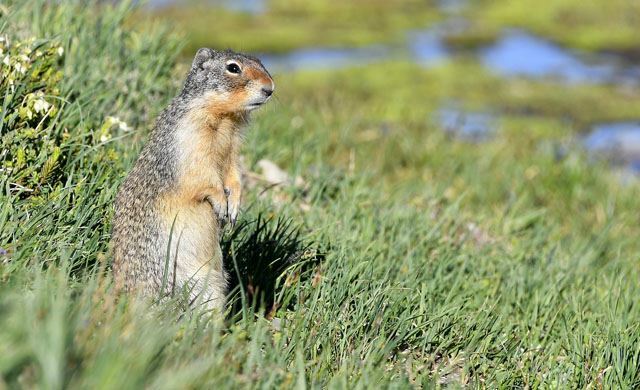 Columbia Ground Squirrels are all around. 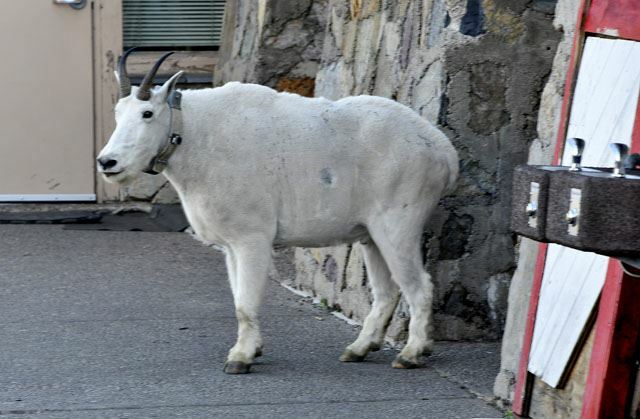 When we got back down to Logan Pass Visitor Center, we found this Mountain Goat in the Mens Room - who says you can't get close to wildlife? You just have to look in their natural habitats - like restrooms. St. Mary's Lake is at the eastern end of the Going to the Sun Road. 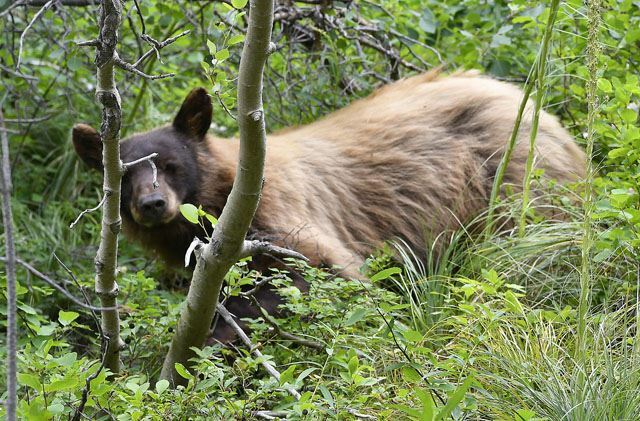 This bear was just off the trail we were hiking on in the Many Glaciers region of the park. 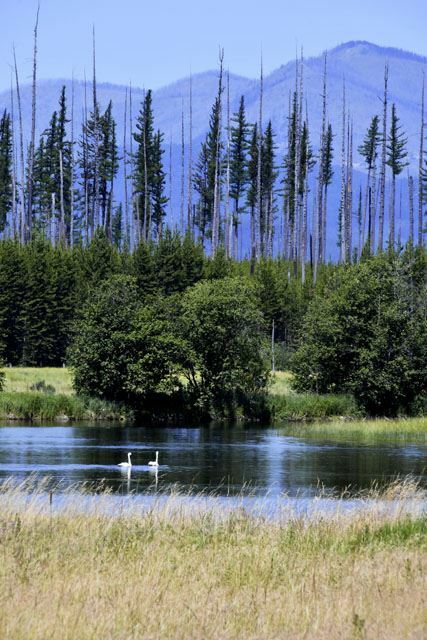 Hidden Meadow, in the western part of the park. 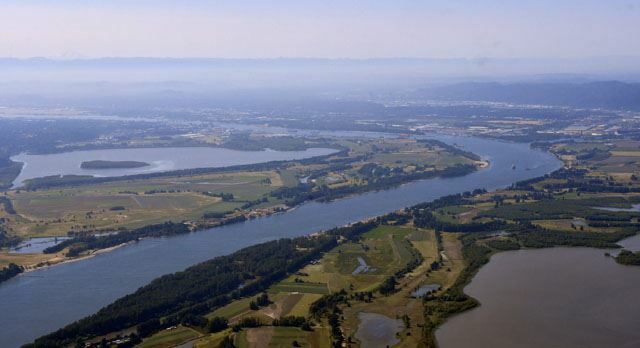 The weather looks perfect for our flight tomorrow, so we'll be off for Olympia, Washington, bright and early. 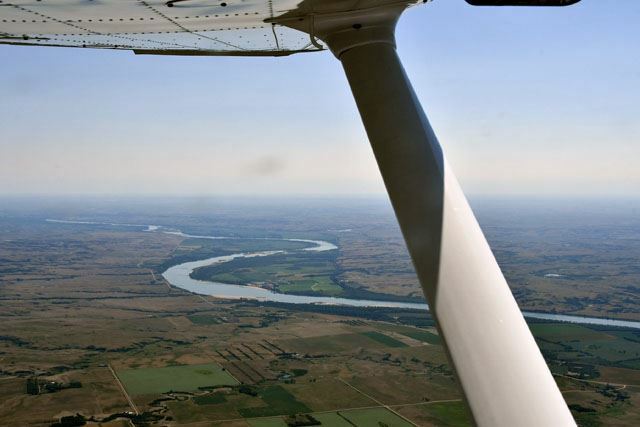 Watch this blog for pictures of our flight. Sorry about not posting here for a few days. I'll catch up today, and will try to post as each leg is completed from here on. Day 3 of the trip was a long one - ten hours flying time, with two fuel stops, for a total of 922 miles. 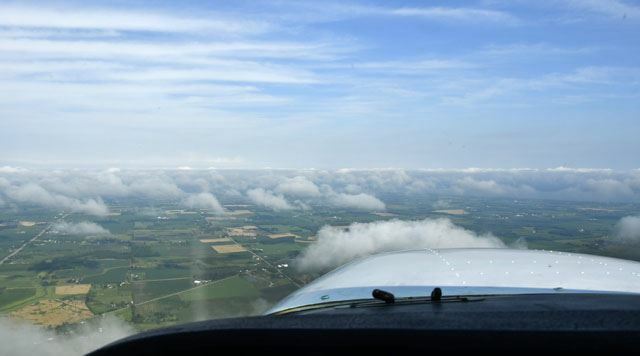 We left Oshkosh, Wisconsin, with nice weather predicted for most of the day - but for a low deck of clouds extending from Wisconsin to the North Dakota border. As we went along, we could still see the ground through the deck, and it wasn't very thick - 1,500-2,000 feet. We decided to get on top of the clouds, where it was clear and sunny. The tops climbed to about 4,800 feet, so we had to climb, as well, up to 6,500. 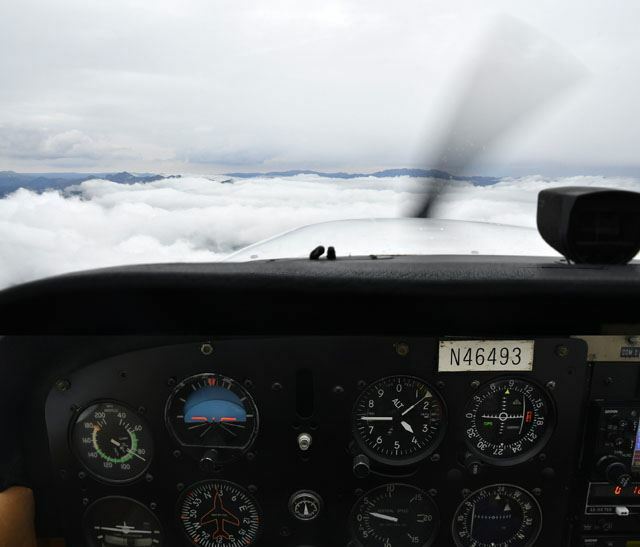 When it came time to descend, after about 400 miles, the deck was solid, so John got an IFR clearance to get back under. It only took a few minutes, and we broke out at 1,800 AGL. 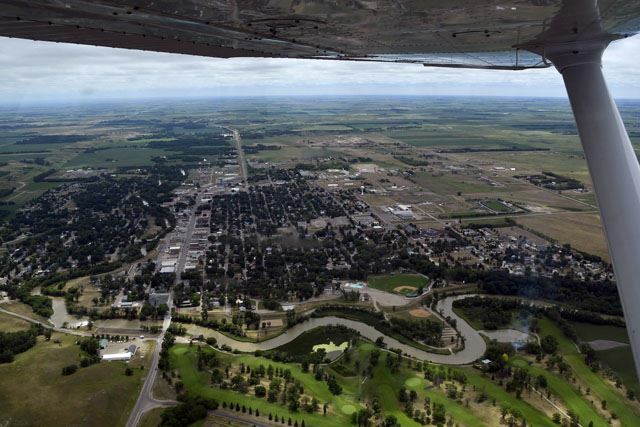 A few minutes later, we were on the ground for lunch and fuel at KBWF - Wahpeton, ND. 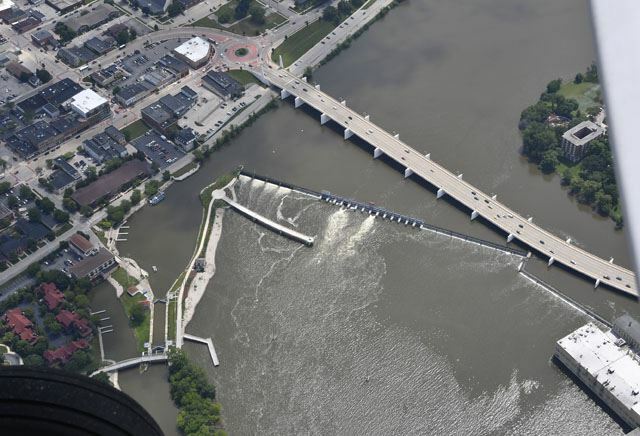 Wahpeton is just over the border, with Breckenridge, WI, next door. It's just a short walk into town, and the Wahpeton Deli has great burgers. 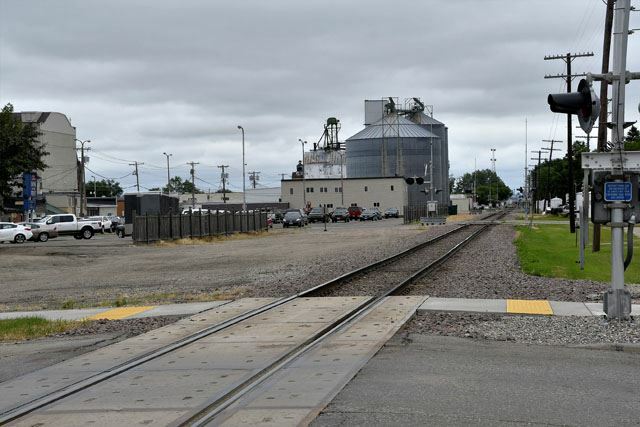 You can tell Wahpeton's a Midwestern town, because it has the requisite railway line and grain silos downtown. After we (and 493) were refueled, we took off again. 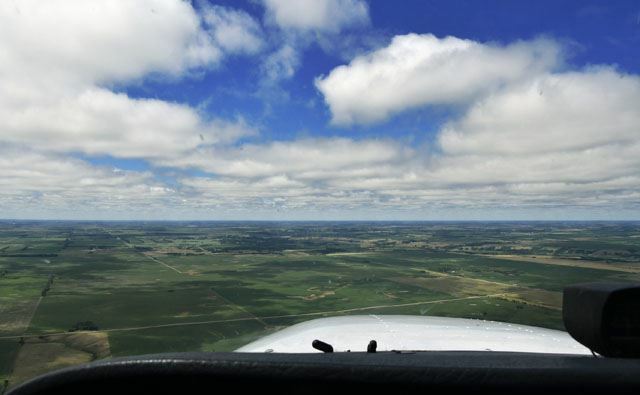 From there we flew under the clouds, over the North Dakota countryside, which is flat, with huge farms surrounding the towns. Within ten minutes or so the sun broke through. 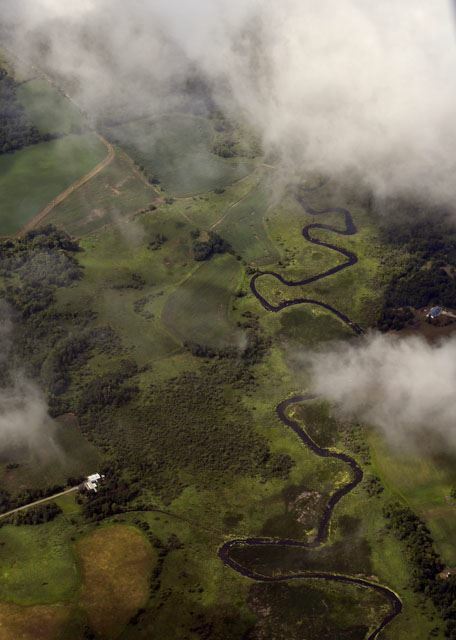 Minnesota claims to have ten thousand lakes - and it sure looked like it from the air. It's always interesting to play a sort of Rorschach Test with the ponds - what do they look like to you? 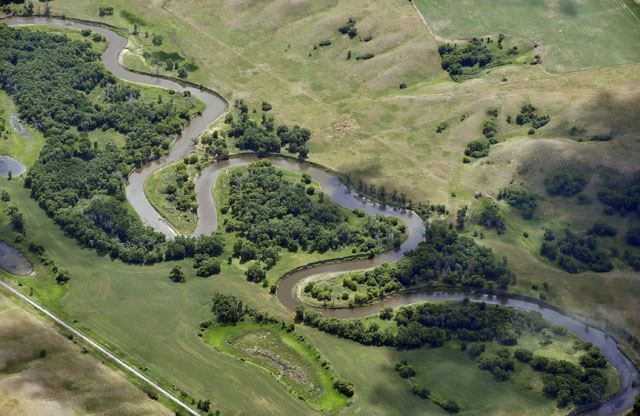 We crossed the Missouri and Yellowstone Rivers as we flew through Minnesota and into Montana. 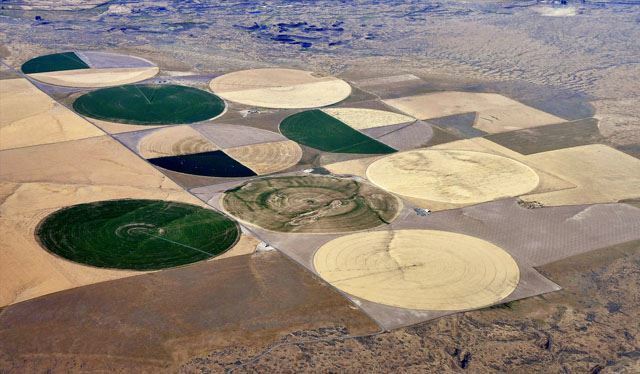 Circular irrigators began to appear as we flew west, and, once again, I found Pac Man eating a farm. We stopped again for fuel at PO1 - Poplar, MT. 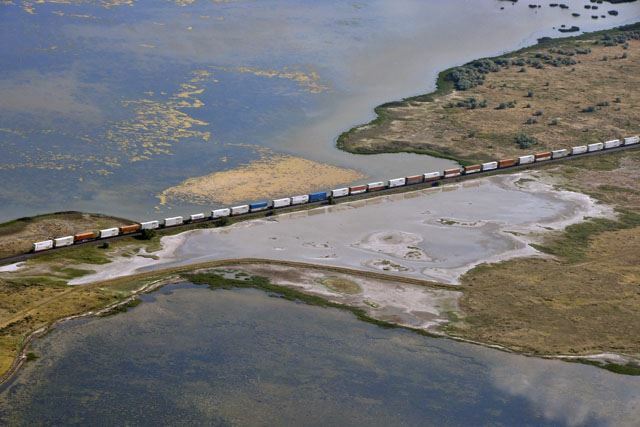 Poplar has self-service fuel carried to an extreme. When we landed, there wasn't anyone anywhere around. 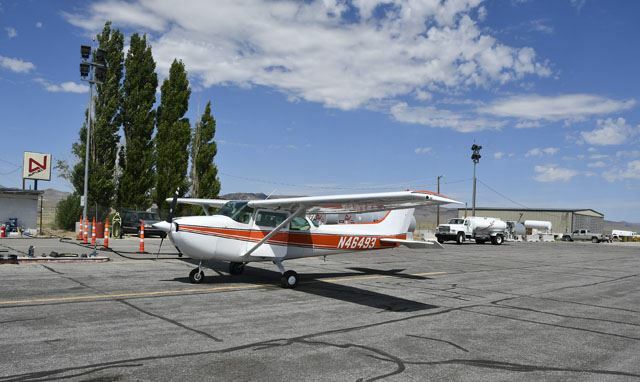 But, the fuel pump was unlocked and so was the FBO, manned only by two friendly dogs. We pumped our fuel, then went inside the FBO and called the number we found on an invoice on the counter. The person who answered talked John through running his credit card on the terminal, and we were done. Pet the dogs, and back in the air. Two hours later we'd arrived at KHVR - Havre, MT. So, by flying forever, or so it seemed, we were back on schedule. "Thanks" to Tony, the airport manager at Havre, who gave us a car to use for the evening. 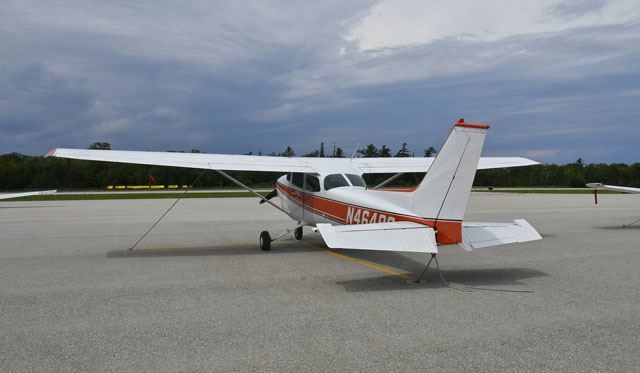 By Skyhawk to the Pacific - Day 2 - Mackinac Island to... Oshkosh? Yes, Oshkosh, not Fargo. Oh well, it's one of my long-distance trips. What did you expect? A line of heavy rain went through this morning, leaving low ceilings behind all along our planned route. 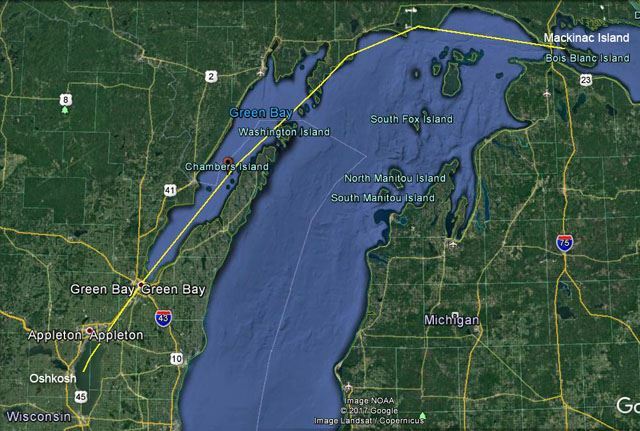 Every airport was IFR between Mackinac Island and Fargo, and predicted to remain so all day. But, there appeared to be a route of clearer skies further south, if we could only get down there. 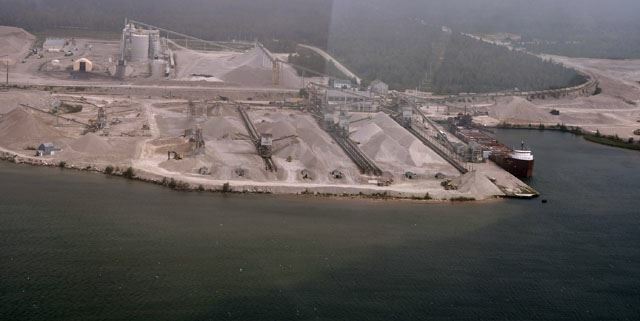 Finally, the clouds lifted enough at Mackinac Island for us to take off, and we followed the Lake Michigan shoreline about 500-800 feet above the water. Before too long. the clouds broke enough for us to get up on top. 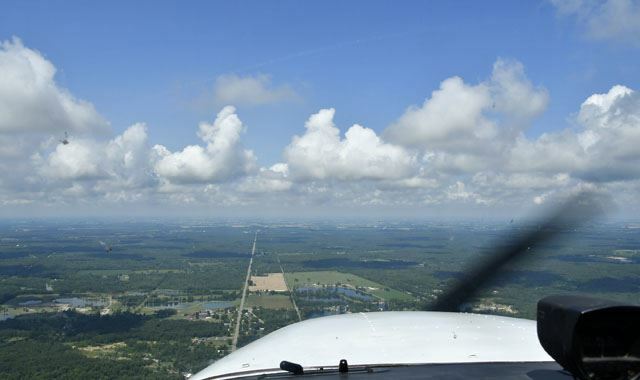 At that point we headed straight for Oshkosh, and by the time we got to Menominee there were just widely scattered clouds around. 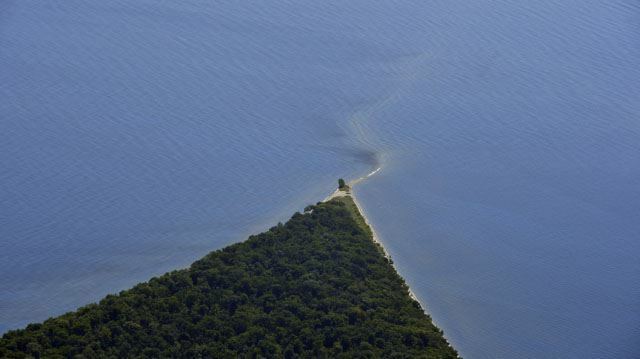 Flying down Green Bay, we passed over Chambers Island, where the pointy eastern tip makes interesting patterns in the water. 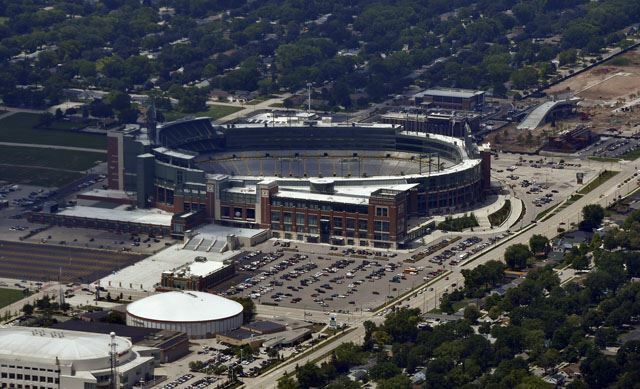 At the end of Green Bay is, not surprisingly, Green Bay, Wisconsin. 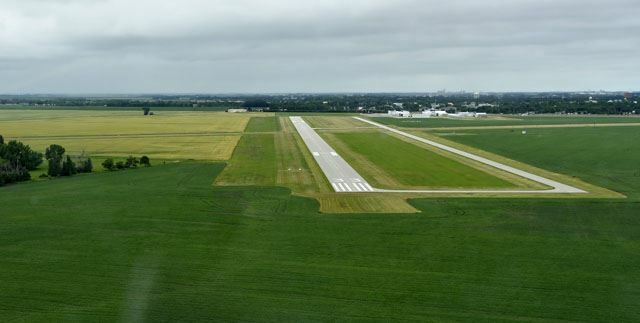 Two and a half hours after leaving Mackinac Island, we were on final for Runway 27 at KOSH - Oshkosh, Wisconsin. 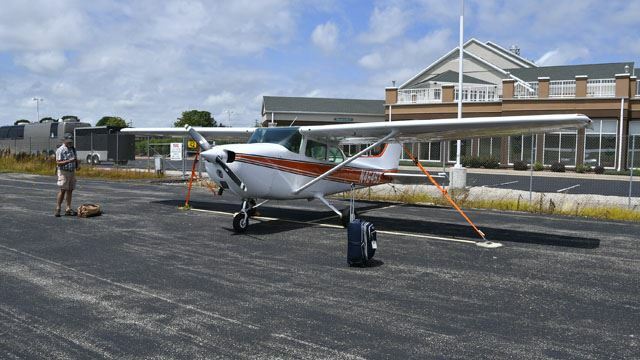 We taxied over to the Hilton Garden Hotel's private ramp and tied down. Unfortunately, they'd sold their last room while we were flying down, but the desk clerk was nice enough to find us one across the street, so everything worked out well. 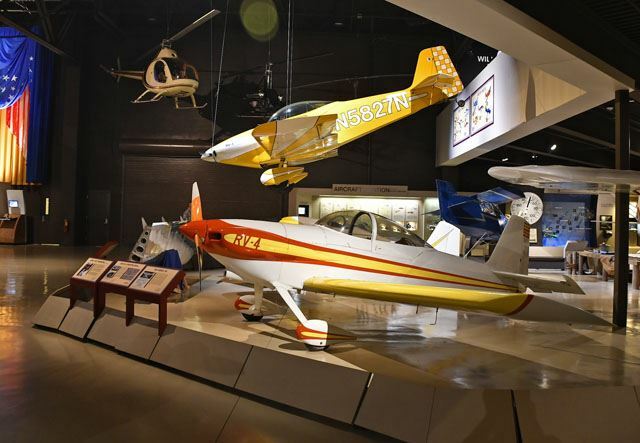 We've spent the afternoon touring the EAA Aviation Museum at Oshkosh. The hangars at Pioneer Field were open, so we started there. This is a Swallow - you can buy a ride in it, most days. An AirCam hangs in the museum. 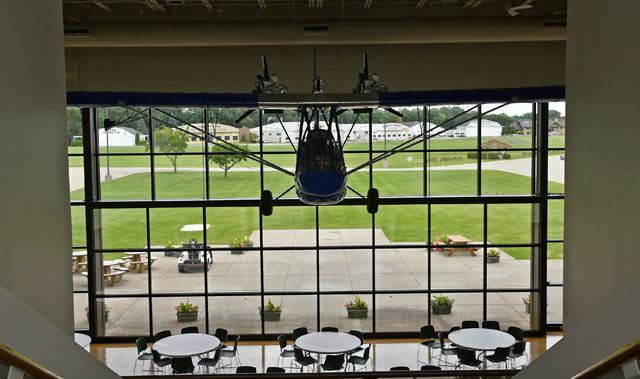 Through the windows you can see the hangars at Pioneer Field, across the grass runway. 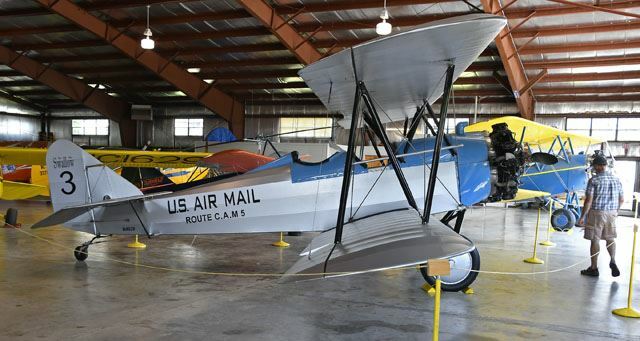 — at EAA Aviation Museum. If you would like to see more pictures, I've been posting many more to my Facebook page. There are severe thunderstorm warnings for tonight, but we hope for better weather tomorrow. 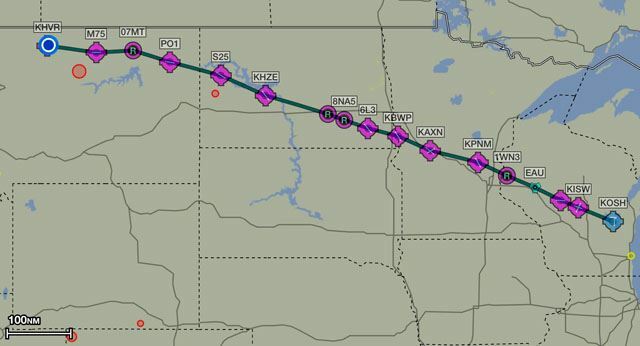 With any luck we'll be able to get to Havre City and be back on our flight plan. We'll see how that works. 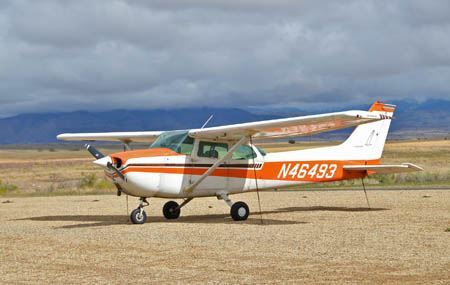 Unusually for one of my long-distance flights, the weather cooperated and we (N46493, John Hrubos and I) were able to take off as planned, on time. 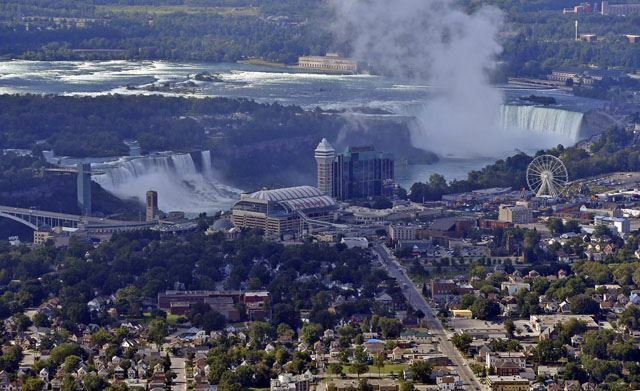 From Niagara, we passed into Canada. 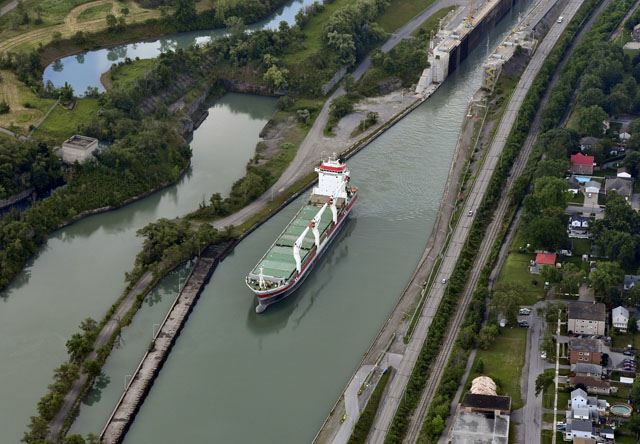 This is a ship on the Welland Canal. Overflying Canada is no big deal. 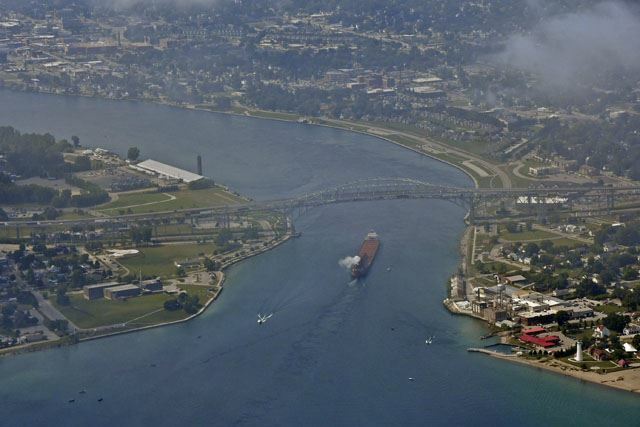 You just need to be on a flight plan, Buffalo hands you off to Toronto, and off you go. 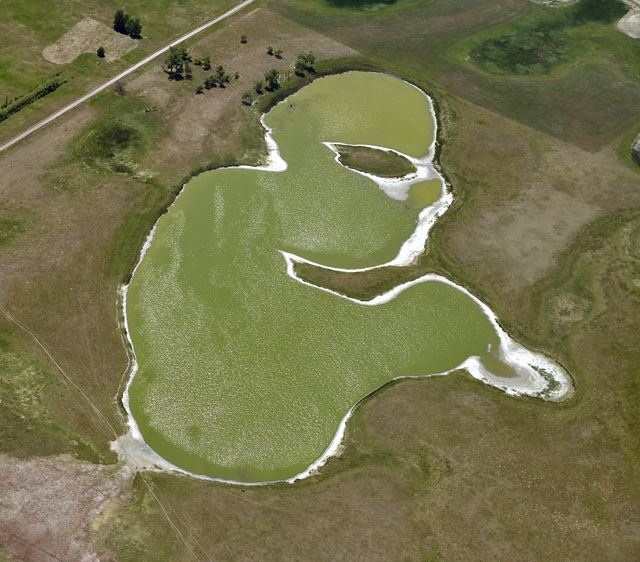 I think this Canadian pond looks like a rabbit - or maybe a triceratops? 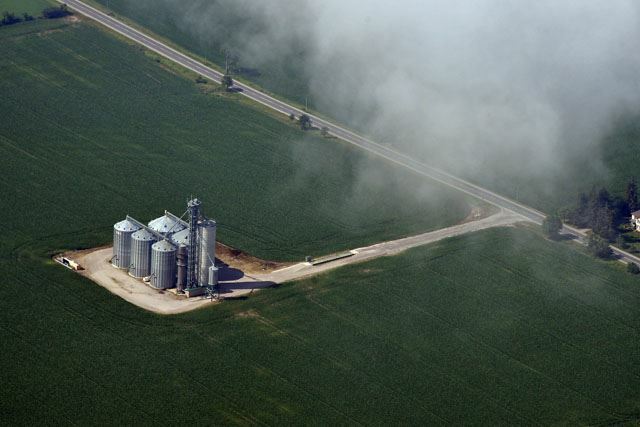 This part of Canada is basically flat, with large farms having large collections of grain elevators. A couple of hours of Canada, and we passed into Michigan. 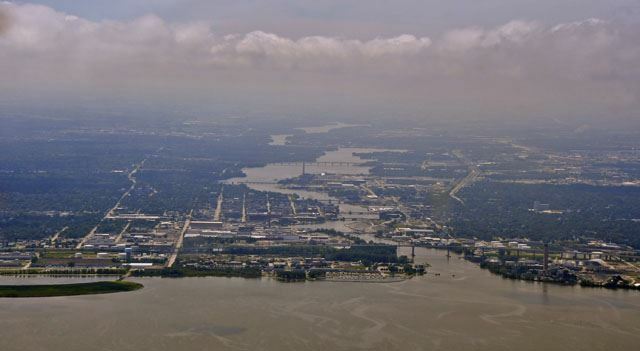 The St. Clair River divides Sarnia, Ontario (left) from St. Clair, Michigan (right). 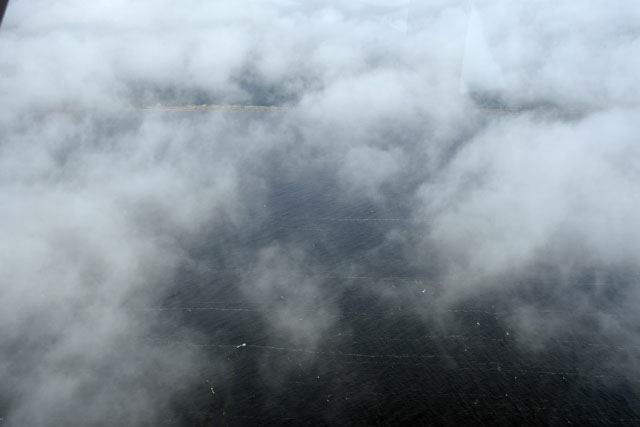 The weather remained good, with a broken layer of clouds extending from 2,500 to about 3,500 feet. We mostly stayed on top, as there were more than ample holes to drop down through when we needed to. 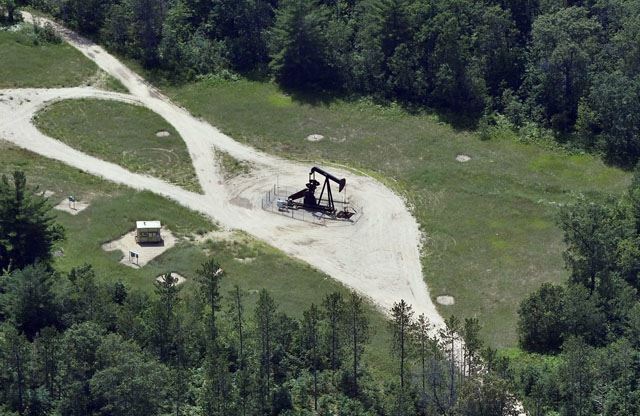 As we headed northward in Michigan, the land flattened out even more, and the roads became straighter. 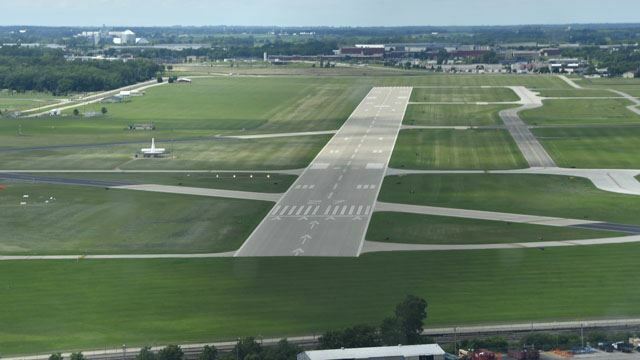 After three hours and fifty minutes flying, we were on final approach for runway 32, KMBS Saginaw, Michigan, for lunch and fuel. After lunch, it was only 140 miles to our destination. Along the way we passed the first, but I'm sure not the last, rocker pump of the trip. Soon the shore of Lake Huron appeared and we crossed over to follow the south shore of Bois Blanc Island westward to Mackinac Island. 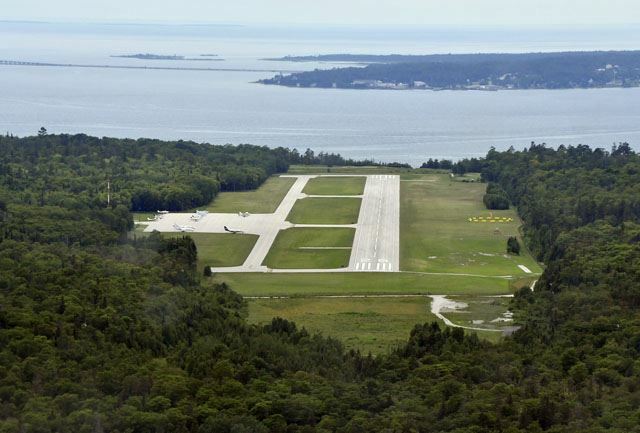 The pattern at Mackinac Island is a bit odd - you're requested to fly the downwind and base legs over water, so basically for runway 26 you fly downwind along the east coast of the island, then turn and follow the north coast as your base leg, then turn final. And, we were landed. We tied down 46493 at the end of a satisfying day of flying, about five and a half hours total. 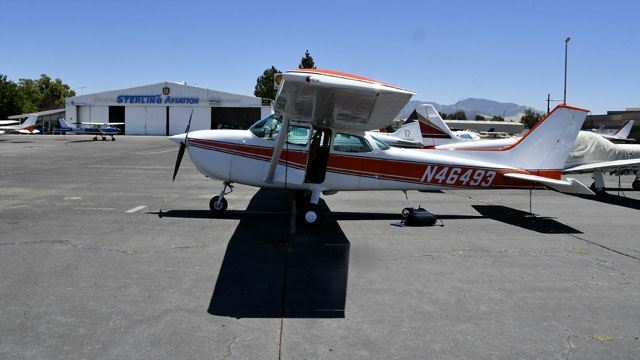 The FBO called a taxi for us, and when it arrived it had about eight seats and two horsepower. Well, two horses. 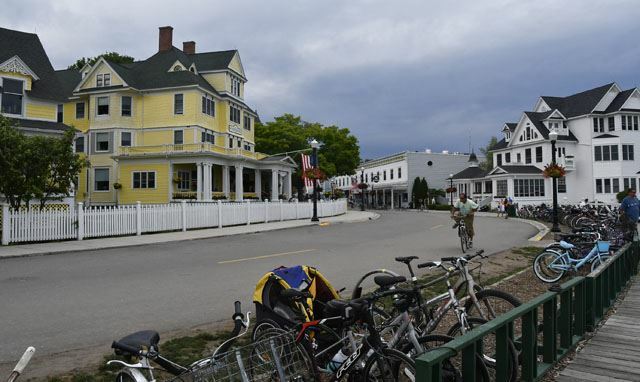 It turns out that cars were banned on Mackinac Island in 1910 and today all transportation (other than a fire truck and an ambulance) is horse drawn or by bicycle. 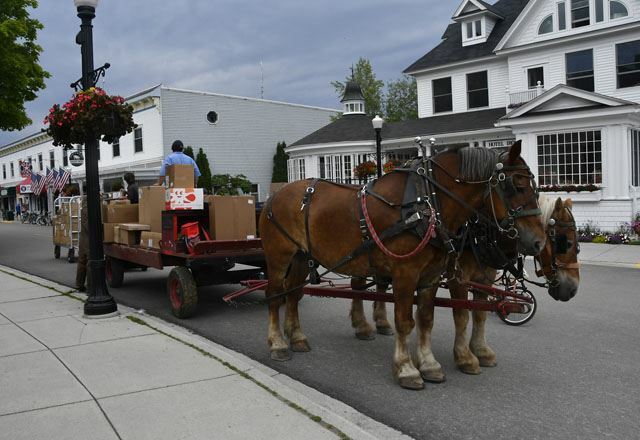 This is the island's UPS delivery vehicle - of course, the horses are brown - what else? This is "City", the only town on Mackinac Island. 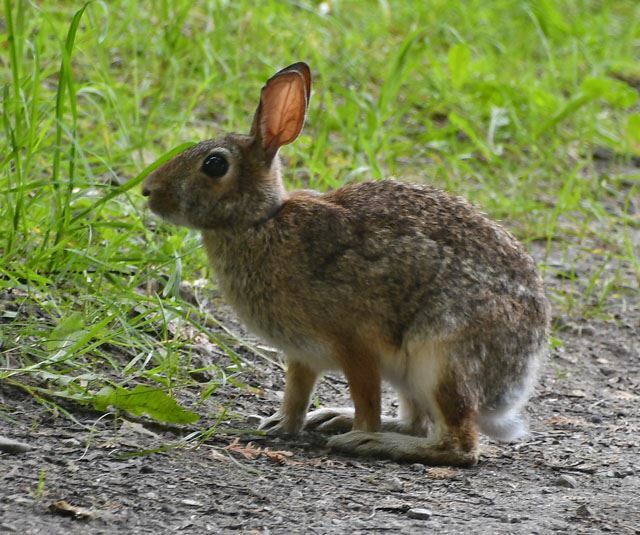 I'll finish up with a picture of one of Mackinac Island's inhabitants. 493 at La Junta Colorado on the 2013 trip. 493 at Oshkosh on the 2015 trip to Florida via Colorado.